A wheelchair can affect the life of a needy and disabled child in a profoundly positive way! 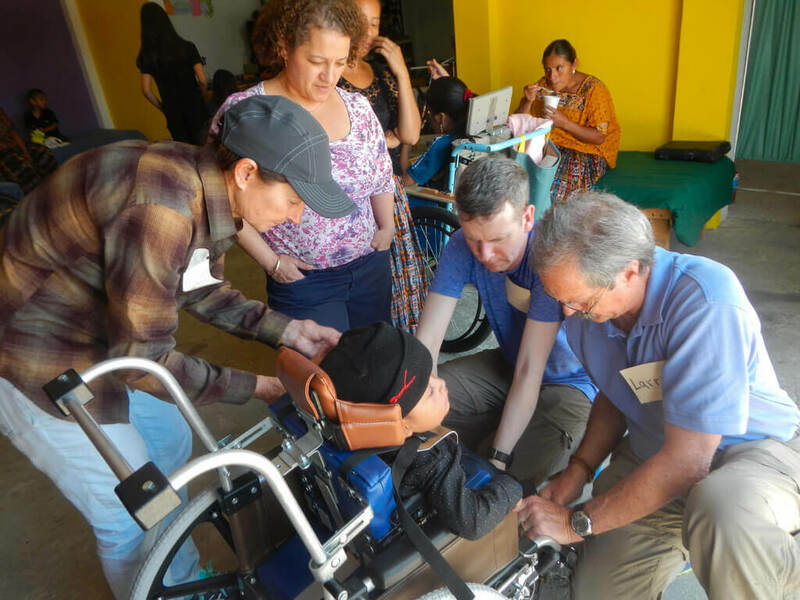 This short-term medical mission trip was designed so that physicians of all specialties, along with their non-physician families and guests can take an active role in the wheelchair delivery. The CME participants, along with their spouses / guests can all be involved as a useful part of the delivery team. $500 of your trip cost on this non-profit trip will be donated to the purchase of the wheelchairs, so each attendee will be “sponsoring” all of the costs for two needy children---and then you will experience the joy of personally delivering and fitting the wheelchairs to disabled children. After we have completed the wheelchair delivery, our group will enjoy a fantastic natural history tour of some of the highlights of Guatemala! The Antigua area is absolutely beautiful and fantastic! 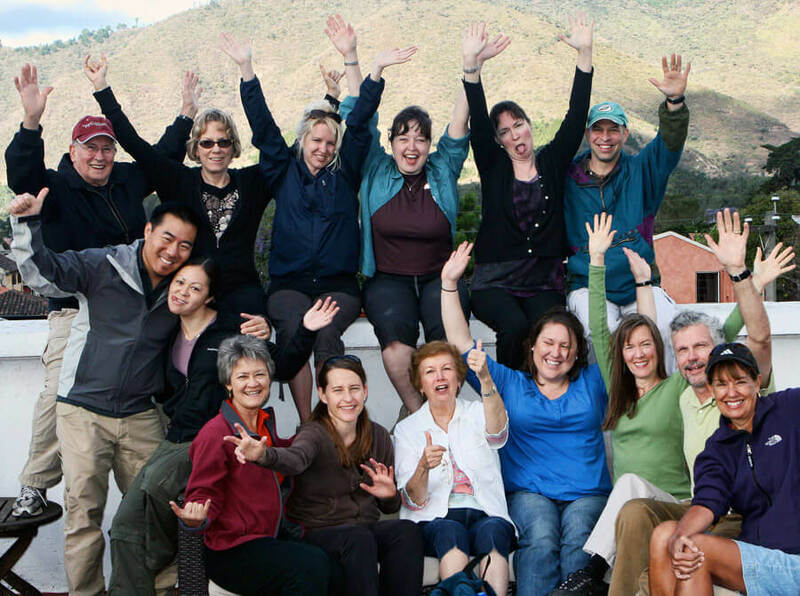 DAY 1 Arrive in Antigua and overnight at Hotel Posada de Don Rodrigo Antigua. CME lecture followed by a welcome group dinner. DAY 2 Half day guided walking tour of Antigua. We will explore one of the most enjoyable and walkable cities on earth visiting 16th-century monuments such as Saint Catalina Arch, Capuchins Convent, and La Merced Church. Visit local markets in the afternoon. CME lecture followed by a group dinner. DAY 3 Wheelchair seating at Hope Haven factory. We will meet the families of children who have been selected to receive a wheelchair and adjust the wheelchairs to fit each individual child. Lunch at the factory. Late afternoon CME lecture followed by a group dinner. DAY 4 Drive to Lake Atitlan and check into our hotel. Afternoon boat tour with a visit to two native villages. CME lecture followed by a group dinner. DAY 5 Second day of wheelchair seating, this time in Sololá. You will meet new families and feel like you are a pro as you assess and seat the children you meet. Lunch included. CME lecture followed by a group dinner. 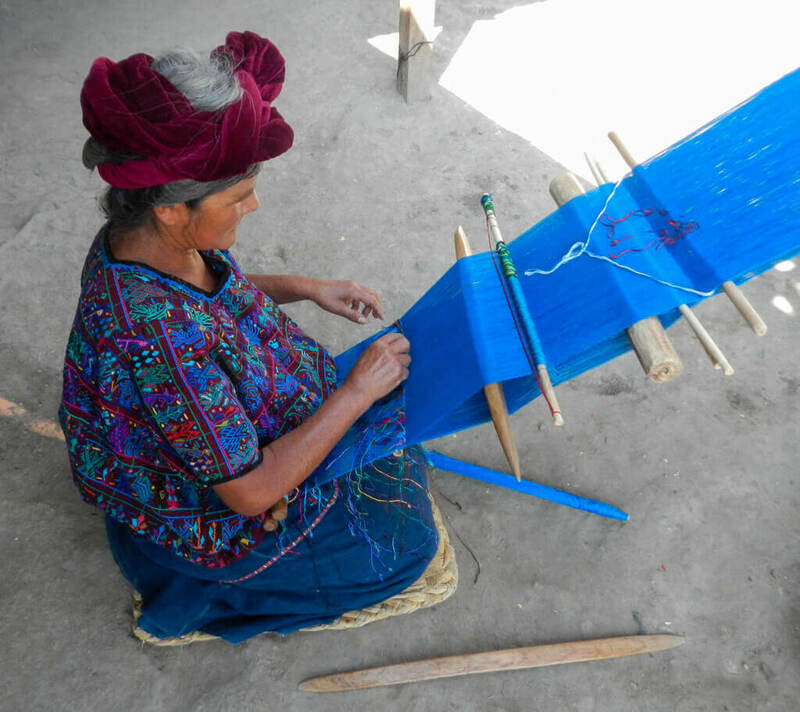 DAY 6 Visit the famous indigenous markets at Chichicastenango and return to Antigua. CME lecture followed by a group dinner. DAY 7 Guided hike on Pacaya Volcano. Hikers will return in the early afternoon and have time to further explore Antigua. CME lecture followed by a farewell group dinner. DAY 8 Departure. Return home or enjoy an optional post-trip excursion (Suggestions below). 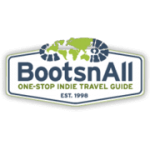 ANTIGUA, GUATEMALA - Rich colonial history, Mayan folklore, charm & adventure! Antigua is among the worlds best conserved colonial cities. It is a magical and captivating small town that makes you feel time might have stopped some 300 years ago. From its colonial architecture to its beautiful surroundings, strolling through town on the cobblestone streets, you will experience the splendors of ancient times! The city was once the third most important Spanish colony in the Americas. More than 30 monastic orders called Antigua home, leaving stunning monasteries, convents and cathedrals in the town. Its setting is breathtaking, nestled between three dramatic volcanoes: Agua, Fuego and Acatenango! Antigua Guatemala is a fascinating place to visit today. Founded in 1543, as a Spanish colonial capital of what is now Central America, it was abandoned in 1773, leaving us most of the buildings from the 17th and 18th centuries. It is truly a jewel of the Americas offering something for all travel tastes. Colonial history that is always present offers an array of cultural activities including many art galleries and exhibits, performing arts, popular arts, films, forums, markets and cultural tourism in general. 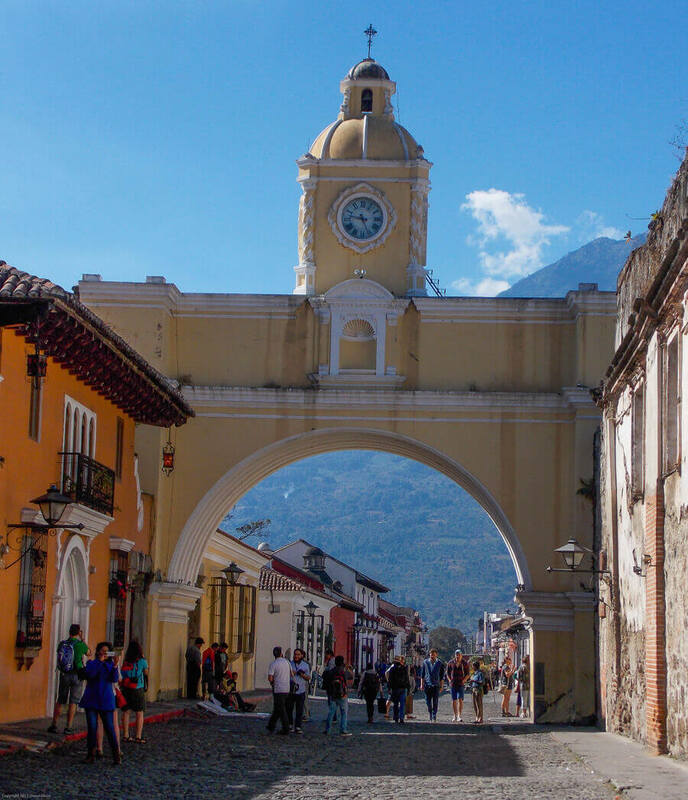 We wll take a private 3 hour guided walking tour of La Antigua, with an expert guide who will share with you the many wonders of this city, once the third most important Spanish colony in the Americas & home to more than 30 monastic orders, stunning monasteries, convents and cathedrals from the Spanish colonial days. The tour consists of an informative walk behind the walls of this colonial capital, focusing on cultural trends, city history, restoration efforts and the city today. We wll take a day tour of breathtaking Lake Atitlan, a deep-blue volcanic crater lake surrounded by three picture-perfect volcanoes and the colorful Maya villages resting on its shores. Described as one of the most beautiful lakes in the world by late British author Aldous Huxley, it is definitely one of Guatemala's most spectacular natural attractions. Spend the afternoon visiting the lake side villages of Panajachel, Santiago, San Pedro and St. Catarina Palopo - take a hike up one of the three volcanos, kayak, scuba dive, etc. There are a myriad of activities to enjoy at this amazing lake. 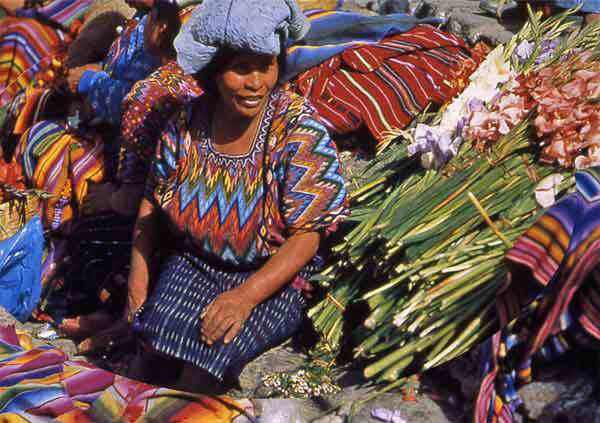 The most famous and colorful indigenous market in Central America! Our private guide and driver will take you on a truly memorable cultural experience. Located at 2500 meters above sea level, Chichicastenango is well known for its famous market days on Thursdays and Sundays where vendors sell handicrafts, food, flowers, pottery, wooden boxes, condiments, medicinal plants, candles, pom and copal (traditional incense), cal (limestones for preparing tortillas), grindstones, pigs and chickens, machetes, and other tools. In the central part of the market plaza are comedores (small eateries). Among the items sold are textiles, particularly the women's blouses. The manufacture of masks, used by dancers in traditional dances, such as the Dance of the Conquest, have also made this city well-known for woodcarving. 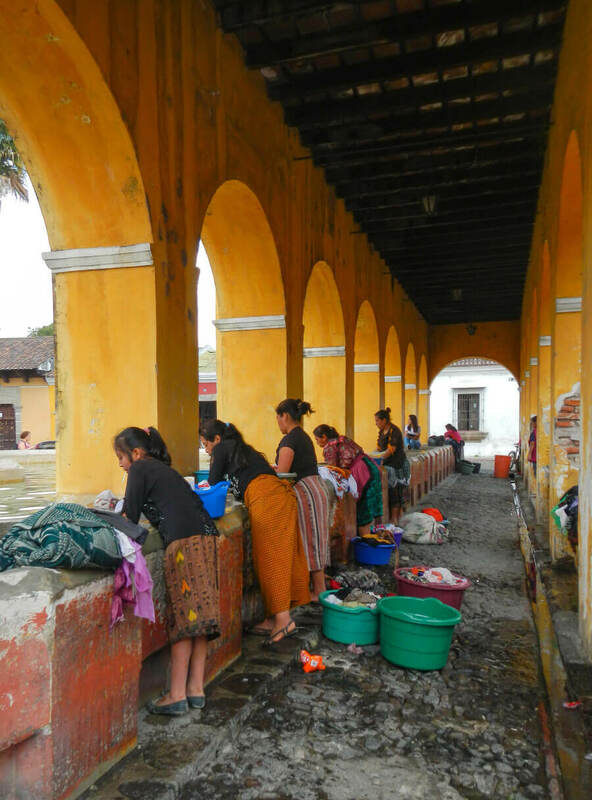 The project takes place in the charming city of Antigua and a village near the very beautiful Lake Atitlan, Guatemala. 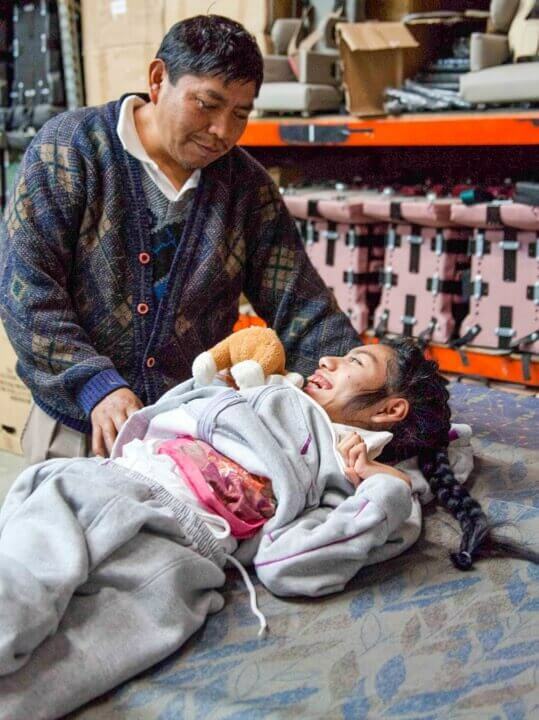 Most families in Guatemala are financially unable to purchase a wheelchair for their disabled child. The purpose for this medical mission is to provide specially constructed and fitted wheelchairs to disabled children in this country. This Guatemala medical mission is a non-profit trip. $500.00 of the cost of the trip provides two wheelchairs and transportation for the recipients and their families to the fitting site. Each attendee will be "sponsoring" all of the costs for two children. You will be personally involved fitting and delivering the wheelchair to these children. Absolutely no previous experience in wheelchair fitting is necessary because expert technicians will be on site to instruct you and guide you every step of the way as you fit the wheelchair to the child. We have planned two separate days for wheelchair fittings during our trip. 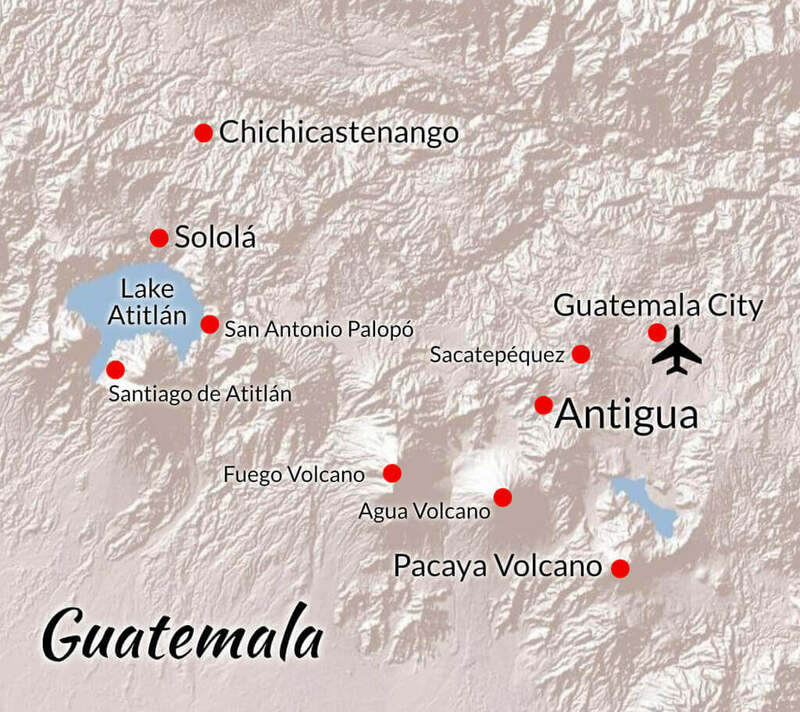 This trip also includes Wilderness and Travel Medicine CME and exploration of some of the fantastic scenery and culture in this charming and beautiful part of Guatemala! 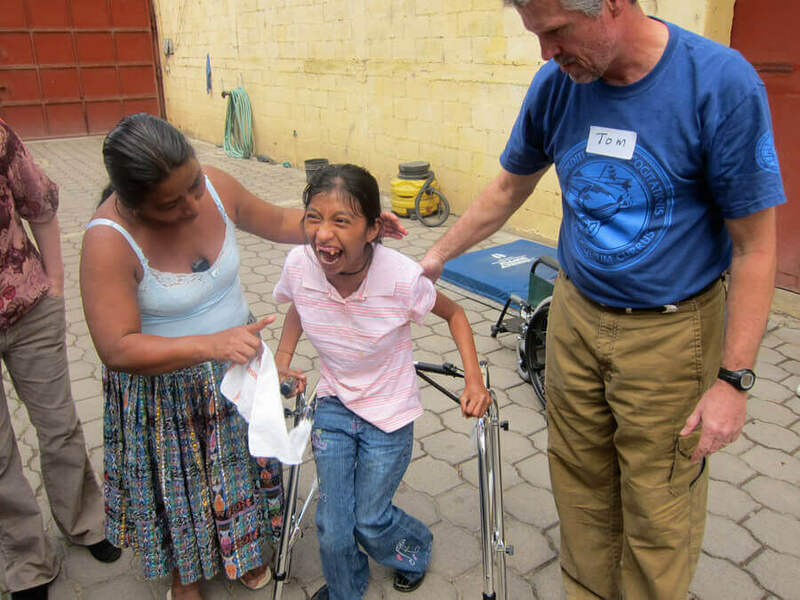 Our hope is that this short term medical mission trip will increase the awareness of the needs and abilities of people with physical disabilities, and also promote the joy of giving and serving! Hotel Posada de Don Rodrigo is a place where beauty encounters elegance, service, and great taste, right in the heart of beautiful Antigua Guatemala. This spectacular hotel, which in reality is three renovated 15th-century colonial homes, one of which, "La casa De Los Leones," is registered as a historic monument. All the rooms are unique and distinct; no two rooms are the same. Feel the magic from the time the church bells begin to toll, while enjoying a succulent breakfast and great cup of world famous Antiguan coffee in its full-service restaurant, setting the pace for a great day ahead. A full-service restaurant within the hotel is available, preparing dishes of great, Antigua tradition, as well as a select gourmet menu of international cuisine. During lunch and dinner, the cheerful sound of our authentic marimba will make your dining experience a truly special one. Construction of Tikal began around BC 300, although its most important poque was between AD 200 - 900 - in what is known as the Classic Period of the Mayan civilization. The temples at Tikal were built to reach the sky, with the Temple of the Serpent reaching 70 meters high and offering a magnificent view of the rainforest canopy and other temples. The site covers 16 square kilometers and contains over 3,000 structures. Tikal can be visited from Antigua in a day trip - leaving in the morning and returning in the late evening. Tikal packages include all transfers, flights, entrance fees to the park, a bilingual guide, and lunch. Price: $637 (1 pers), $510 per person (2 pers. ), $460 per person (3-4 pers.) or $435 per person (5+ pers) including ground & air transport, private bi-lingual guide, entrance fee and lunch (without beverages). After a quick transfer to the airport in Guatemala City, a short 45-minute flight will take you to Chiquimula and from there via private transport across the border to the colonial village of Copan - and the site of the some of the most interesting Maya ruins yet uncovered. Copan is famous for having been the "Paris of the Maya World," with an enormous quantity of intricately carved statues, ornate temples, and beautifully detailed "stelae" (carved stone monuments). Price: $530 per person (3 pers. 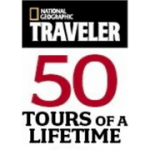 minimum) including ground & air transport, private bi-lingual guide, entrance fees and lunch. Border crossing fees not included. * Please Note: Day tours by private minivan also available at $250.00 (1-2 pers) $265.00 (3-4 pers) & $280.00 (5-9 pers) - 5 hr drive each way. Price includes transport only. Enjoy an Antigua Canopy Tour within the beautiful setting of Finca Filadelfia, just 10 minutes away from Antigua's city center. The tour lasts an average of 3 hours. An Unimog Mercedes Benz vehicle specially adapted for safe transportation will take you up the mountains from where you will start your canopy tour, offering spectacular views. Antigua Canopy Tours consists of a series of platforms up in the trees linked by horizontal double zip lines from one tree to another. The guides that accompany you have been fully trained to provide assistance to visitors to travel through the system and you will begin your adventure with a short introduction period. Two different tours are available: Forest Express & Canyon Express. Forest Express features 6 zip lines varying in length and height. This unforgettable experience finishes with an assisted rappel down from a tree 40 feet high. Canyon Express is designed for adventure lovers: Enjoy the thrill of two mega zip lines over the Canyon, almost 1700 feet long each one at a height of 500 feet. Forest & Canyon Express combination: $75/person. Groups of 8 people or more: Forest OR Canopy Express: $40/person; combination of both tours: $60/person. 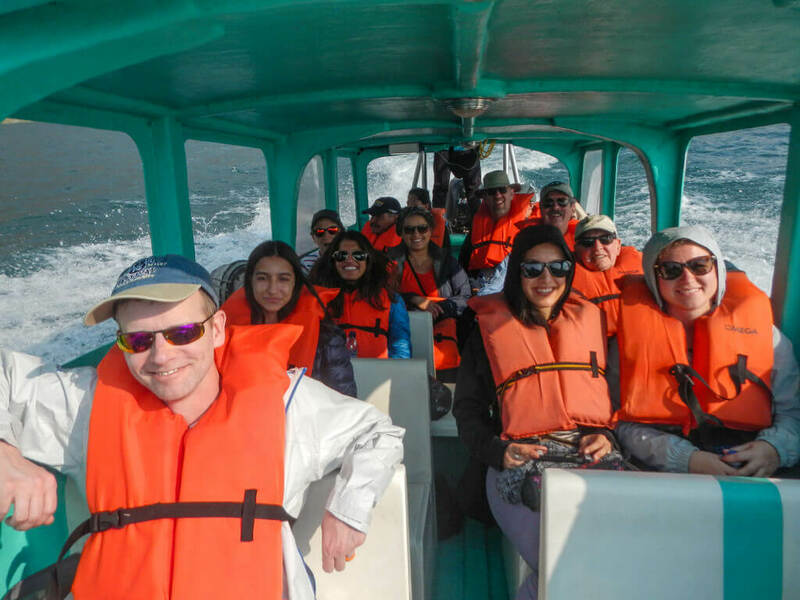 * Guatemalans & nationals of Central America get a $10 discount on individual tours; $5 discount on tour combinations and group rates (ID required). * Public tours leave at 8:20 a.m., 10:20 a.m., 12:20 p.m. and 1:20 p.m. from the Capuchinas Convent. * Private tours can be arranged for groups of 10 persons or more. * Antigua Canopy Tours have been designed for all visitors (age 5 years+) and do not require of a lot of physical effort. Children younger than 12 years old should be accompanied by adults. 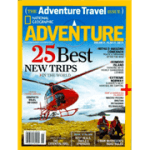 Suggested Tours From Antigua: Volcano hikes, biking tours, deep sea fishing, culture tours... Nestled between three volcanoes, an hour from the Pacific coast, two hours from breathtaking Lake Atitlan, and dozens of authentic Mayan villages, Antigua is an ideal city from which to partake in all sorts of exciting adventure and cultural experiences. Includes lodging, dinners, and activities described above. Trip cost also includes $500 donation per person which will be entirely used towards the cost of the wheelchairs. $500 will provide 2 chairs, thus providing greater independence for 2 disabled children. 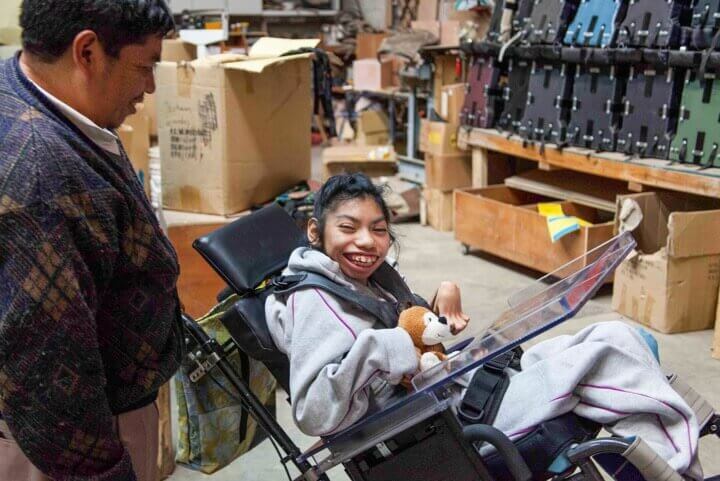 The wheelchairs are made at the factory near Antigua. This wheelchair program is facilitated by Hope Haven, a non-profit organization. Trip cost is per person, based on double occupancy. "Amazing, wonderful experience. I feel like I helped and made a difference in the children and families. They were all very grateful. It has changed my view of nursing outside the box!" 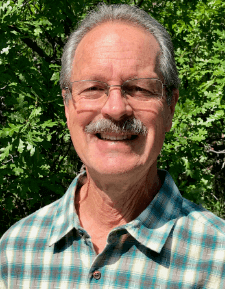 ... "Could not ask for better faculty than Dr. Allred and Dr. 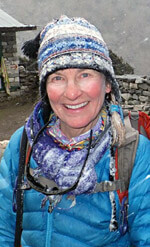 Serra!...they are both very welcoming and I am a better person and nurse for meeting them." "Excellent experience....Would recommend to others. I always have an enjoyable experience on Wilderness Medicine CME trips. Dr. Allred and Serra are phenomenal lecturers...knowledgeable and well spoken...a pleasure to spend time with them on the trip." "What fun! All I hoped for. 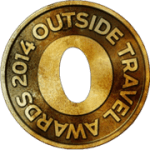 I look forward to doing more trips of a similar nature"
16.5 AMA PRA Category 1 CreditsTM.